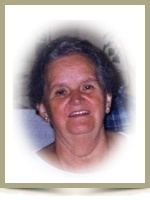 Thompson – Theresa A. Hubert , 79, of Sonny Lane, died Sunday November 9, 2008, in Webster, MA. She was the loving wife of J. Maurice Hubert. Born in Fitchburg, MA, she was the daughter of the late Edgar and Alice (Mandler) Quintal. Mrs. Hubert was a 1946 graduate of Putnam Catholic Academy. She worked for the Fair department store as a cash office clerk for 13 years. Trease enjoyed knitting and crocheting and made many hats, slippers and afghans. She was a communicant of St. Joseph Church in North Grosvenordale. Theresa is survived by two sons, Paul M. Hubert of Thompson, and Richard Hubert and his wife Barbara of Pascoag, RI; a daughter Denise Basinet of Thompson; two sisters, Pauline A. Vadnais of Bowie, MD and Irene Q. Torsiello of Newington, CT; two grandchildren, Christopher M. Basinet and Brian M. Basinet; and three great-grandchildren, Hannah M. Basinet, Drew M. Basinet, and Jace E. Basinet; her sister in-law, Emily Quintal of Putnam; and several nieces and nephews. She was predeceased by her brother, the late Robert Quintal. Relatives and friends are invited to visit with Mrs. Hubert’s family from 1:00 pm to 2:00 pm, Friday, November 14, 2008 in the Valade Funeral Home, 23 Main St., N. Grosvenordale CT followed by a Mass of Christian Burial at 2:00pm in St. Joseph Church, 20 Main St., N. Grosvenordale. Memorial contributions may be made to the Southern Worcester County Visiting Nurses Association, P.O. Box 368, Webster, MA 01570 or the Alzheimer’s Association, Connecticut Chapter, 279 New Britain Road, Suite 5, Kensington, CT 06037 or Day Kimball Hospital, P.O. Box 632, Putnam, CT.